From one of the world leaders in all-inclusive resorts, a Club Med vacation includes gourmet dining, premium alcoholic beverages, live entertainment, children's clubs, and much more. That makes for a convenient, stress-free vacation, at a great value. At each of Club Med's unparalleled worldwide resorts, they take care of everything so your family can relax and enjoy each other…which is what matters most. Discover the most prestigious domains with the ease of an all-inclusive Club Med Ski package and experience everything that winter sports have to offer with all the family! Club Med all-inclusive ski packages include: snow sport lessons, ski-lift tickets, and an array of non-ski activities. Go to the Full Resort List tab to view which Club Med properties are Ski Resorts. for pricing, availability, and special deals on any Club Med resort. 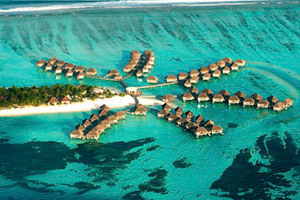 Amazing Deals on all Club Med Resorts! Book a Club Med resort with us and you'll get a fantastic price, along with our unparalleled level of customer service. Children under 4 years old stay for free at Club Med's family destinations. Ages 4-11 years stay at up to 50% off adult price at select family resorts. Ages 12-15 years stay at up to 40% off adult price at select family resorts. For flights that are booked through Club Med, tickets for children must be paid for by the client. Children who are eligible to stay for free must be lodged in the same room as the adults who are paying for their stay, or in a connecting room. Blackout dates apply. Subject to modifcation or expiration without advanced notice. Additional restrictions apply. Club Med Flash Sale: All-Inclusive Deal! ♦ Up to $300 Air Credit per person! ♦ FREE Room Upgrades on select categories, on select dates! ♦ Kids 4 Years & Under FREE at family destinations! » Call us toll free at 1-866-214-7447 to book today! *Sample price is per person, based on double occupancy in a Club category room on select weeks at Ixtapa Pacific, Mexico. Discounts on other dates, room categories and/or at other resorts may vary. Blackout dates apply, including holidays and other dates. Offer requires a 3-night minimum stay (7-night minimum for Columbus Isle). Available at select resorts. Does not include airfare. Offer requires a 3-night minimum stay (7-night minimum for Columbus Isle). Available at select resorts. Does not include airfare. Valid for new individual bookings only for select travel dates with check-in on or after March 1, 2019 and check-out on or before November 2, 2019. Must be booked by May 2, 2019. Offer is subject to capacity control and may increase at any time. 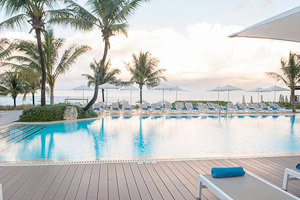 Sample $300 air credit is per person, based on a 7-night stay in a Suite category room on select weeks at Club Med Cancun Yucatan, Mexico and Punta Cana, Dominican Republic. Credits on other dates, resorts, stay duration, room categories may vary. Children between 13 and 15 years of age receive 70% of the air credit of an adult. Children between 4 and 12 years of age receive half of the air credit of an adult. Children under 4 do not receive an air credit. Free room upgrade: is available select weeks at Punta Cana, Dominican Republic (From Superior Room near Zen Oasis (B), to Family Superior Room - near Zen Oasis (B+)), Cancun Yucatan, Mexico (From Family Superior Room – Oceanfront (B4) to Family Deluxe Room – Oceanfront(A4 ) and from Superior Room – Ocean side, Aguamarina (B) to Family Superior Room - Oceanfront, Aguamarina (B4)), Ixtapa Pacific, Mexico (From Superior Room beach side(C+) to Family Deluxe Room - Balcony (A)), Sandpiper Bay, Florida (From Family Superior Room Bay view (B+) to Deluxe Room (A)). Children aged under 4 years stay for free at our family destinations (exclusion for Holiday weeks: children 3 years stay at 50% of the adult price). Children aged 4-11 years stay at up to 50% off adult price at select family resorts. Children aged 12-15 years stay at up to 30% off adult price at select family resorts. For flights that are booked through Club Med, tickets for children must be paid for by the client. Children who are eligible to stay for free must be lodged in the same room as the adults who are paying for their stay, or in a connecting room. Blackout dates may apply. Costs associated with Baby & Petit Club Med are at full day rate during entire stay booked. 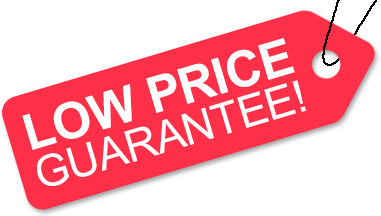 Offers are subject to capacity control and may increase at any time. Costs associated with Baby & Petit Club Med are at full day rate during entire stay booked. Blackout dates may apply. For Turkoise all guests must be 18 and older. Guests at Columbus Isle must be 2 and older. Club Med Membership fees of $60 per adult and $30 per child are additional. Other restrictions apply including brochure terms and cancellation/change fees. Every effort has been made to produce this info accurately; we reserve the right to correct errors. Additional restrictions may apply. We do not charge booking fees on resort packages, so you're sure to enjoy an affordable Club Med vacation when booking with us! Our special offers on Sandals Resorts may not be combinable. 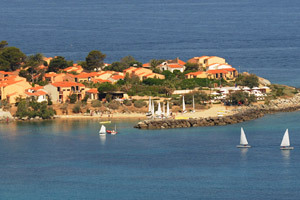 There are many Club Med resorts. If you want culture, consider Cancun all-inclusive Yucatan. For a fantastic family resort, choose Ixtapa Pacific. For spectacular beaches, consider Turkoise or Columbus Isle. For romance, perhaps an exotic escape to Bali or Kani. Punta Cana and Sandpiper Bay are among 34 premium golf destinations, and for skiers, there are 20 alpine resorts, including the award-winning Val Thorens. Located North of the Yucatan Peninsula in Mexico, on the Caribbean Sea, this beautiful family resort is ideal for vacations with kids and teens. There are 376 rooms, divided among typical colorful bungalows in a Mexican hacienda style. Nestling between a lagoon and the Caribbean Sea and built on a private peninsula, the resort spreads out in an semi circle shape between the warm blue-green waters of the Caribbean Sea and a lagoon. Discover Jade, the 5Ψ Luxury Space in the Cancun 4Ψ Resort. It's the perfect option for those in search of privacy and upscale, personalized services, without sacrificing the friendly Club Med spirit. A secluded Bahamian jewel, with isolated beaches and world-class diving. Take a warm weather getaway and visit the Columbus Isle resort on San Salvador Island of the Bahamas. Inspired by Christopher Columbus' discovery of the Americas, this colonial inspired resort sits along white sand beaches, nestled between luscious greenery. The Columbus Isle's water-side resort provides the perfect place for water sport lovers. Tucked in along the shores of Bonefish Bay, the buildings are bordered by a soft white sandy beach. These bungalows comprising 236 rooms are built in colorful colonial architectural style. Club Med and Cirque du Soleil have joined forces to dream up the ultimate circus-inspired playground. Adults and children alike are invited to live a one-of-a-kind immersive experience in Punta Cana. From artistic to acrobatic activities, vacationers will have fun and learn new skills. Club Med Creactive by Cirque du Soleil is included in every Club Med Punta Cana vacation package. This is a Caribbean family paradise and majestic golf destination with dazzling turquoise waters, and sandy white beaches. Soak in the warm Caribbean sun at this 4-Trident resort with a 5-Trident Luxury Space that gives you access to exclusive private ocean front family suites. There are 553 rooms, divided in colorful bungalows with pastel hues. A new, high-end, all-inclusive and contemporary ski resort, offering exceptional skiing on the largest ski domain in the world. Make the most of this international resort, full of energy, with a cosmopolitan and festive ambiance. It has a contemporary design based on transparency and light, by Sophie Jacqmin: a modern interpretation of the mountain spirit. *Note: This resort welcomes children from 4 months old, with children's club facilities from 4 months old. In the swimming pool, children under 3 who are not yet potty-trained must wear a disposable swim nappy. The name Sinai Bay conjures up the immense cultural wealth of this symbolic site. 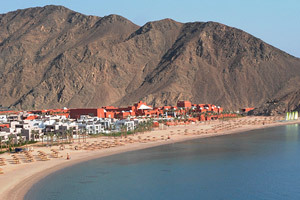 In the heart of the Sinai, this Club Med Resort provides exceptional opportunities to discover the region's famous sites, such as the troglodyte city of Petra in Jordan. This resort has 369 rooms in colorful bungalows with one upper story, surrounded by oriental gardens. 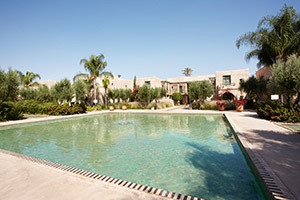 Within this resort is a 5-Trident luxury space, Marrakech La Palmeraie 5Ψ Luxury Space. Guests staying in this exclusive venue benefit from privileged services, luxurious accommodations and, of course, all the activities and amenities of the 4-Trident Resort. *Note: This resort welcomes children of all ages, with supervision from 4 months old. At the pool, wearing a disposable diaper with bathing suit is mandatory for children under 3 years who are still at the stage of potty training. In the heart of Agadir, protected from the urban frenzy by an imposing wooden door, you'll find a world steeped in Moroccan tradition, with plenty of sports and exercise. The Club Med Resort of Agadir has 374 rooms, all located in 2-floor bungalows designed with Moorish architecture, situated between the sea and the gardens. This Club Med resort offers you new, spacious and very comfortable Deluxe Rooms. *Note: This resort welcomes children of all ages, with children's club facilities from 2 years old. In the swimming pool, children under 3 who are not yet potty-trained must wear a disposable swim nappy. While Morocco possesses all the magic of the Orient, Marrakech is its Southern pearl, full of charm, mystery and bustle, at the crossroads of the Sahara and the Upper Atlas. 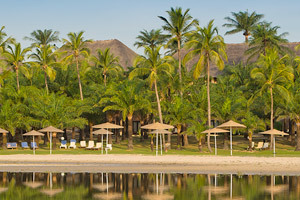 This 300 room resort is located in the heart of the Palmeraie (palm grove). All of the rooms are located in traditional-style bungalows with one upper floor. The bungalows are grouped around an ornamental pool with small fountains and flower gardens. In the heart of the palm grove, the Le Riad 5-Trident Luxury Space is a haven of peace and serenity, with 60 Suites built in the spirit of the local architecture, each with a private terrace or garden. *Note: This resort welcomes children of all ages, with supervision from 2 years old. Childcare is available. A short distance from the Straits of Gibraltar, perched on a lush hillside, come and discover the resort of Yasmina, in Morocco. With its whitewashed single-story hotels tucked away amidst the oleanders, jasmine and palm trees, this Club Med Resort is reminiscent of Tangier, the White City. The renovated Club Med Resort of Yasmina has 350 rooms situated in a 42 acre estate, along a vast fine sandy beach, built in the heart of a sublime Mediterranean garden with oleanders, palm trees and jasmine bushes. 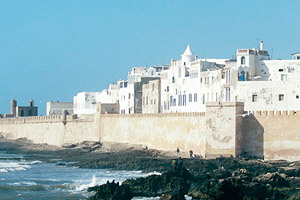 It consists of four hotels: the Altair hotel facing the sea, consists of several buildings divided into one or two levels. The Yasmina hotel facing the sea is a terraced building, on six gradual levels. Then you have the new Andalous and Sultana buildings, one located close to the Club Med Spa by Cinq Mondes and the other close to the beach. *Note: This resort welcomes children from 2 years old, with no supervision. The resort of Cap Skirring is located in the South of Senegal, lying drowsily in the shade of a coconut grove along the edge of a fine sandy beach. The natural materials, primitive frescos and thatched roof bungalows dotted around this tropical garden create a serene and typically African atmosphere in this resort. The Club Med Resort of Cap Skirring has 205 rooms located in bungalows, divided between the coconut plantation and the gardens. 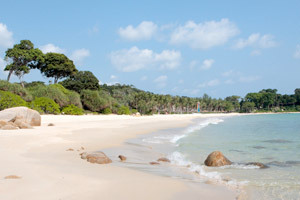 Some bungalows are located by the beach, separated by dense and lush vegetation. *Note: This resort accepts children of all ages, with supervision from 4 months old. This resort offers child care that suits your child's age. On the island of Djerba in Tunisia, close to Houmt Souk, the mythical Club Med Resort of Djerba la Douce enjoys constant sunshine, a clear blue sea and a pleasant and steady wind to fill the sails of its catamarans. Rooms are divided between a hotel (Aziza) and 327 bungalows (Menzel). 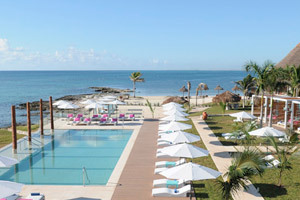 The Aziza hotel is a two-story building without an elevator in the center of the Club Med Resort, on the beach, close to the restaurant and all activities. 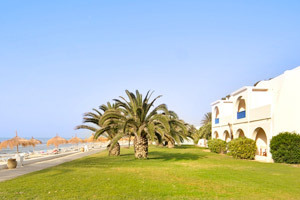 The bungalows are traditional one-story buildings on the island of Djerba, grouped around patios. All rooms have a terrace. Discover the totally renovated Calypso hotel and its 179 rooms that is a quieter area of the resort with its own bar, pool and restaurant. *Note: This resort welcomes children of all ages, with supervision from 2 years old, and offers child care that suits your child's age. An incredible resort in one of China's most cherished regions, regarded as one of the most beautiful places in the world. 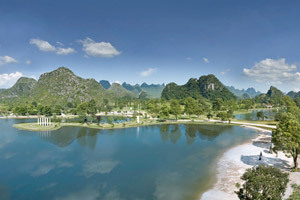 Discover Guilin, a magical landscape, that after seducing the Emperors, the Chinese painters and poets, will thrill you. In a majestic and beautifully preserved site, two contemporary style hotels with different styled rooms for the "Chateau," to enjoy a relaxing vacation in a warm atmosphere. *Note: This resort welcomes children from 2 years old, with children's club facilities, as of April 3, 2015. In the swimming pool, children under 3 who are not yet potty-trained must wear a disposable swim nappy. 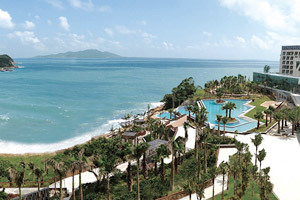 South-east of Zhuhai in the province of Guangdong, not far from Macao, discover our first Chinese Seaside Resort on one of the region's most picturesque islands, with a magnificent beach and lush, beautifully preserved nature. Alongside a wonderful beach of fine sand, is this 4-Trident hotel with 267 rooms, and decor inspired by the colors of the elements (sky, water and light). Within this resort is also Azur, a 5-Trident Luxury Space with 72 rooms providing comfort, privacy and services, for an exceptional stay. *Note: This resort welcomes children from 2 years old, with children's club facilities, and childcare that suits your child's age. Yabuli is a great Resort for family vacations, in the heart of a fabulous and beautifully preserved natural environment, in the province of Heilongjiang, 120 miles from Harbin airport. Yabuli is China's largest ski resort, where its national skiing team comes to train. 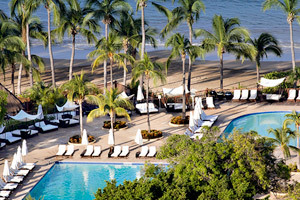 This Club Med Resort has 284 rooms with different styles, all offering luxurious comfort and exclusive services. *Note: This resort welcomes children of all ages, with supervision from 2 years old, and offers childcare that suits your child's age. The Island of Bintan, south of Singapore, is full of history marked by fallen empires and the spice trade. Its tranquil bays were long used by the Orang Loaut pirates as a refuge. This is where Club Med Bintan Island, a haven of tranquility and refinement combining modernity with Asian tradition, now nestles. This resort has 311 rooms, divided between small 3-story buildings. Between comfort and modernism whilst respecting the local architecture, buildings are designed with exotic wood using local crafts. *Note: This resort welcomes children from 2 years old, with supervision from 2 years old, and offers childcare that suits your child's age. A refined beach resort steeped in the culture of rice paddy fields and temples. Discover the exotic charm of Club Med Bali, a beautiful family resort with a fabulous beach and lush gardens, located in one of the most exclusive and beautiful destinations in the world. The Club Med Resort of Bali has 393 rooms located in five buildings up to 4 floors designed in traditional Balinese style architecture using wood and natural colors: Flores, Sumba, Java, Lombok and Madura. *Note: This resort welcomes children of all ages, with supervision from 2 years old, and childcare that suits your child's age. 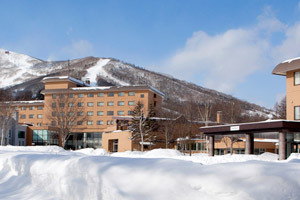 Hokkaido, Japan's most northerly island, has been known as Japan's mecca of winter sports since it hosted the Sapporo Olympic Games in 1972. Its climate guarantees plentiful snow and great powder on the slopes situated between 3,280 and 1,300 ft. 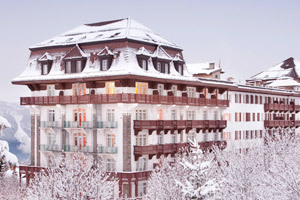 Located in a very woody region, at the foot of the slopes, this resort of 177 rooms and suites in two adjoining buildings. Imagine a spring embraced with cherry blossom… The Kabira peninsula is located on the north-west part of the Island of Ishigaki, 12 miles from the town. 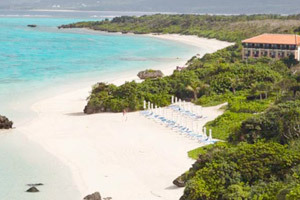 This Club Med resort stands opposite a white sandy beach where the sea is extremely clear and beautiful. This Resort, located in an amazing location oriented towards the Pacific ocean, is composed of 4 floored bungalows built in a semi circle, facing the ocean. *Note: This resort welcomes children of all ages, with supervision from 2 years old. Cherating Beach seems to be perched on the east coast of Malaysia like a tropical Garden of Eden. Discover this paradisiac green resort, in a jungle reserve on the South China Sea. On the coast of Malaysia, 37 miles from Kuantan, looking out at the Sea of China, welcome to a new Eden where the focus is on luxury, refinement and the exotic. The 297 rooms are divided between 15 three-story buildings. The locally-inspired buildings, built on piles and accessed by stairways, are all made from the luxurious teak wood. This little paradise in the Maldives archipelago, exclusively reserved for Club Med resort guests, is dotted with 75 Suites on Stilts which, viewed from above, resemble a giant palm tree growing out across the lagoon. In the heart of a magnificent island in the middle of the Indian Ocean, the bungalows are set between lush vegetation and a magnificent beach of white sand along crystal clear waters. Just like Robinson Crusoe you can live in this diver's paradise. One story bungalows are spread around the island and numerous suites on stilts. 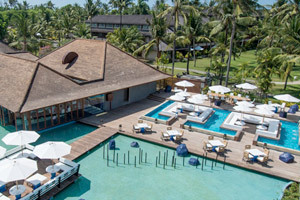 There is a 5-Trident luxury space within Club Med Kani. So that your stay is unique and unforgettable, enjoy the comfort of this suite, where from the comfort of your furnished balcony you can dive directly in to the ocean, or sit back and relax and enjoy th breathtaking view. The suites are accessible via the jetty and advance into the water as an arc. *Note: This resort welcomes children of all ages, with supervision from age 2, and childcare that suits your child's age. Beautifully located in one of the last remote creeks on the island, the resort welcomes families and couples into a world of supreme refinement. Discover this incredible luxurious resort located in a idyllic, tropical setting. This resort has 266 rooms and suites with a terrace or a balcony looking out over the ocean or lush gardens. *Note: This family village welcomes children of all ages, with supervision starting from 2 years, and childcare that suits your child's age. 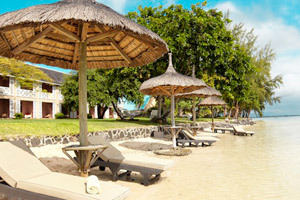 In the heart of the Indian Ocean, Mauritius brings together all kinds of beauty on one island. Flanked by a long white beach, the Resort provides an idyllic setting for families to share special moments and live out their dreams. /This is a resort of 286 rooms in 2 floor wooden colonial style bungalows, nestled in the lush tropical gardens of a 190 acre park, along a white sandy beach opposite the Pacific Ocean. *Note: This resort that welcomes children of all ages with supervision from 4 months old, with childcare that suits your child's age. In Kata Bay, south of Bangkok, the Club Med Resort on the island of Phuket stretches out under palm trees caressed by the breeze. Bungalows, built in the style of the local "long-houses," exude a Zen spirit in this idyllic garden where you can practice yoga beneath the frangipani trees. A warm and clear sea opens up its underwater depths, filled with colorful fish and abundant flora. 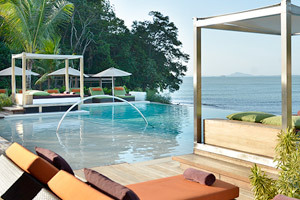 Club Med Phuket Resort, which extends over 61 acres, is set in a vast palm grove on the beach of Kata Bay. 305 rooms decorated in hues of cream and white are accented with teak, silk wood and touches of marble. *Note: This resort welcomes children of all ages, with supervision from age 4. This Resort is not convenient for strollers, or suitable for people with reduced mobility, as there are a lot of stairs to access the main areas. 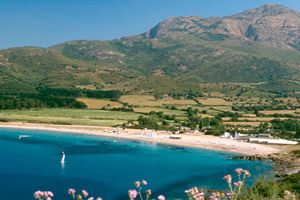 North of Ajaccio on the west coast of Corsica stands the resort of Cargèse, overlooking the clear waters of a sheltered cove in the Gulf of Sagone. Clinging tight to the mountainside, it looks down on the large sandy beach of Chiuni. 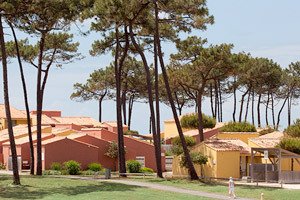 The Club Med Resort of Cargèse has 439 rooms all located in 1 and 2-floor bungalows, without a lift, located in a pine forest covering 13 hectares of hill side within a protected area. *Note: This resort welcomes children of all ages, with supervision from 4 months to 2 years old. No supervision is in place for children aged from 2 to 18 years old. This resort offers childcare that suits your child's age. At an altitude of nearly 3,400 ft, this Club Med Resort is set in the intimate, welcoming decor of the former Savoy Hotel, renovated by the architect Jacques Garcia. The Club Med Resort of Chamonix Mont-Blanc has 249 rooms contained in 3 hotels. 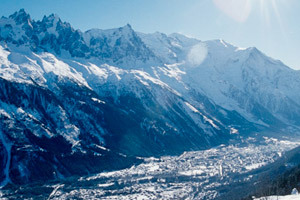 This resort is less than 5 minutes walking distance from the center of Chamonix. The Savoy hotel is a 5-floor main building with a lift, where the restaurant, bar and Reception are situated. The Mont Blanc hotel is the second 5-floor building with an elevator is attached to the Savoy hotel. The Brévent hotel is a new 4-floor building with an elevator, has a spa and direct access to the heated outdoor swimming pool. It is connected to two other buildings by a sheltered walkway. *Note: This resort welcomes children of all ages, with supervision from 2 years old (at certain dates), and childcare that suits your child's age. In the heart of a pine wood, this Club Med resort of bungalows was inspired by oystermens' cabins with décor selected to blend seamlessly with its natural setting, achieved with an interplay of lively colors and natural materials. Located in a revitalizing conservation environment featuring 18 miles of beaches, 21 miles of cycle tracks and 19700 acres of forest, this is the ideal place to come and top up your energy levels. The Club Med Resort of La Palmyre has 392 rooms, all located in bungalows, nestled in the heart of a pine forest, bordered by the Atlantic ocean and a vast fine sand public beach. *Note: This resort welcomes children from 2 years old, with supervision, and childcare that suits your child's age. 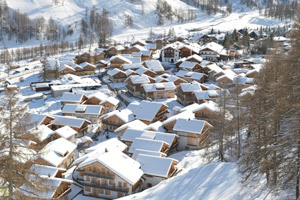 With its bold architecture, the Club Med La Plagne 2100 Resort, overlooks the ski resort from the foot of the slopes. This Club Med Resort is a model of contemporary design by Remy Camoin. 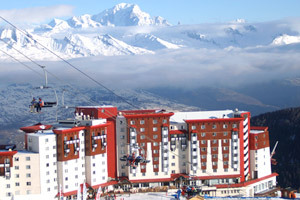 For your accommodation at La Plagne, choose amongst the 340 rooms set in a hotel of 12 floors. *Note: This resort welcomes children as of 4 months old with no supervision. A grand lodge retreat nestled between a fir tree forest and the powdery slopes of Les 3 Vallées. 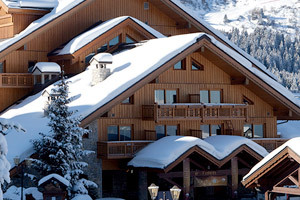 Méribel l'Antarès is an elegant retreat in an unspoilt ski resort with an authentic feel. A successful blend of precious wood, marble and stone, for this resort of 70 rooms (including 5 suites), all with terraces offering mountain or valley views. Opened in Méribel for the 1992 Olympic Games, this Club Med Resort is ideally located so you can ski from the door and explore the vast Trois Vallées domain. The resort consists of 34 rooms, amongst which 1 suite in a typical mountain style; each room offers a balcony with a valley or mountain view. *Note: This resort accepts children of all ages, with supervision from 4 months old, and childcare that suits your child's age. An enchanting resort just inland from Cannes, France, and surrounded by the French Riviera perfumeries of Provence. 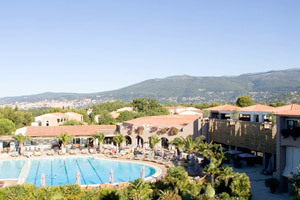 The Club Med Resort of Opio en Provence has 435 rooms, all located in bungalows. The bungalows are in traditional Provencal style, within a park covering 123 acres of pine trees, evergreen oak and olive trees. They are divided between 10 buildings, from 3 to 5 floors without elevators. *Note: This resort welcomes children from 4 months, with supervision from 4 years old, and childcare that suits your child's age. 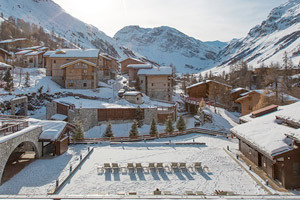 A chic resort overlooking the Paradiski Ski Domain and a pristine larch forest. In the heart of the Savoye region, an eden of well being, luxury and conviviality for the family. The Peisey Vallandry ski resort is perched at a height of 5280 feet, and embodies the convivial heart and soul of the mountains of Savoy. Located at the gateway of the Vanoise national park, guests can experience the best the mountain has to offer, in magnificent natural surroundings. The Village has 284 spacious rooms, all located in the hotel. The hotel consists of two buildings with 2 and 7 floors with lift, adjoined by the reception area. The Village is designed in contemporary style (beige and red hues). *Note: This resort welcomes children of all ages with supervision from 4 years old. Childcare is available, suiting your child's age (for ages 4-17). As if suspended halfway between sea and sky amid the calm of the maquis scrubland humming with cicadas, lies an estate overhanging a rocky headland surrounded by clear water: welcome to Sant'Ambroggio. This resort has 291 rooms, all located in bungalows, on a rock overlooking Sant'Ambroggio and its marina. The bungalows are single-story buildings with no elevator (they're accessible via steps), scattered throughout the resort and amidst the vegetation. *Note: This resort welcomes children from 2 years old, with childcare available for ages 4-17. 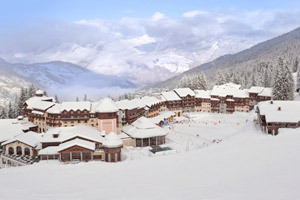 A marvelous winter sport resort in the legendary Espace Killy Ski Domain. 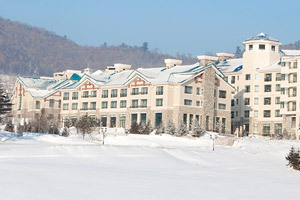 Experience great skiing in this impressive resort, with 186 miles of slopes. Ski from the door of this cozy resort 6,890 feet high. 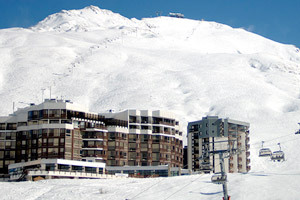 The resort consists of two hotels: "Le Val Claret", the main hotel and "Le Petit Claret", connected to the main hotel by an indoor corridor. *Note: This resort welcomes children 4 months of age and older. There is no supervision program available. 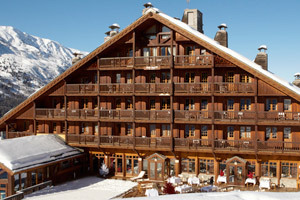 A superb resort on the awe-inspiring Espace Killy, ski domain of the greats. This Savoyard ski resort has long been the haunt of champions. At an altitude of over 6,000 ft, at the foot of the slopes, the Club Med Resort has a vast terrace overlooking the Espace Killy. A modern and warm setting, thanks to its wooden walls, this hotel integrates perfectly into the architecture of Val d'Isère, renown for its charming chalets. Discover Le Refuge, the 5Ψ Luxury Space in the Val d’Isère 4Ψ Resort. The 5Ψ Luxury Space is the perfect option for those in search of privacy and upscale, personalized services, without sacrificing the friendly Club Med spirit. *Note: This resort welcomes children 2 and older. There is no supervision program available. A new contemporary ski resort offering exceptional skiing on the largest ski domain in the world. Make the most of this international resort, full of energy, with a cosmopolitan and festive ambiance. Contemporary design based on transparency and light, by Sophie Jacqmin: a modern interpretation of the mountain spirit. A high end international resort buzzing with energy; a festive and cosmopolitan ambiance to ensure that sensation has center stage. *Note: This resort welcomes children from 4 months old, with childcare available for ages 4 months to 17 years. An amazing location for this mountain resort, located at an altitude of 4600 feet, at the edge of the slopes, with an amazing view of the town. 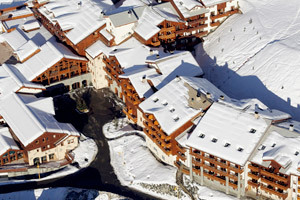 Discover Club Med Valmorel, where you'll enjoy amazing panoramas and experience a unique family vacation. A skiing domain with nice panoramas, and an incredible view from the top of the slopes on the Valleys of Tarentaise and La Maurienne. Discover The Lodge, the 26-suite 5Ψ Luxury Space in the Valmorel 4Ψ Resort. The 5Ψ Luxury Space is the perfect option for those in search of privacy and upscale, personalized services, without sacrificing the friendly Club Med spirit. *Note: This resort welcomes children of all ages. There is no supervision program. The Club Med resort of Vittel Ermitage is set in a protected area of the famous thermal resort's estate in the Vosges mountain range, in the Lorraine region of France. Golf enthusiasts will find several courses right on the hotel's doorstep, where they will be able to exercise their swings amid the 100-year-old trees. 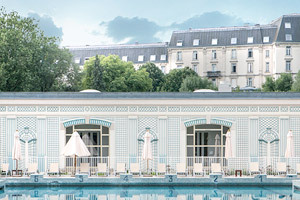 The Club Med Resort of Vittel Ermitage comprises 104 rooms in an Art Deco style hotel built in the 1920s. Located in the heart of the Vittel park and on the edge of the golf courses, the hotel is a 4-story building, consisting of two wings facing the park and the golf courses. In the heart of the Vosges mountains, in a Spa resort surrounded by 600 hectares of parkland and forest, Vittel le Parc reinvents the tradition of the thermal water cure, with a focus on sports, health and vitality The Club Med Resort of Vittel Le Parc has 306 rooms spread between 3 hotels: The Grand Hotel is a 7-story building with an elevator, located in the Vittel park, and has retained all of its "Belle Epoque" charm. The Palace is a 5-story building with an elevator located in the Vittel park and adjoined to the Grand Hotel by a glass passage on the second floor. Les Curtilles is a 4-story art deco-style building with an elevator located on the edge of the Vittel park, in town, 650 feet away from the Grand Hotel. *Note: This resort welcomes children from 2 years old, with childcare available for ages 4-17 years. The white sandy headland of Gregolimano, on the island of Evia in Greece, juts out defiantly into the blue waters of the Aegean Sea, across from the mountains. The Club Med Resort of Gregolimano has 381 rooms divided between bungalows, the hotel and the Olympe which group together bungalows of two or three floors. The bungalows, small constructions of 2 floors are in the shade of the pine forest, and are located close to the Mini Club Med and the nautical base. The hotels located in the center of the Resort are built against the mountain opposite the Sea, and consist of three parts: "Acropole", a 4-floor building, with an elevator, where you will find reception, and the specialty restaurant; "Piree", a 5-floor building, with an elevator; "Parthenon", a 6-floor building. Club Med Cervinia - Ski Resort! *Note: This resort welcomes children from 4 months old, with childcare available for ages 2-17 years. In the shade of the Alps giants, Cervinia is inspired by the glorious past of climbers that conquered the mythical Mont Cervin. The resort consists of two hotels: the main Cristallo hotel, on four levels, and the Cristallino hotel, on three levels, separated by 164 feet but connected by an indoor walkway. There are 207 refurbished rooms, between the Cristallo and the Cristallino. *Note: This resort welcomes children of all ages, with childcare available for ages 2-17 years. Welcome to the land of Etna, where steep alleyways and flower-filled squares look out over the Mediterranean. Kamarina is where you can appreciate Sicily from beneath the shade of its olive trees. 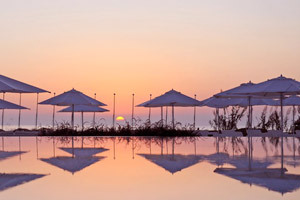 The Club Med Resort of Kamarina has 680 rooms split between bungalows (Villaggio) and an elegant hotel. Villaggio is bordered by alleys in bloom and small streets leading into attractive paved areas, just like in a Sicilian village. The bungalows are one floor local stone houses with no elevator. The hotel, away from the center of the resort, comprises 4 floors with an elevator. All rooms have a balcony. *Note: This resort welcomes children of all ages, with childcare available for ages 4 months to 17 years. Calabria, "the pearl of the South", has its own authentic charm. The Club Med Resort lies in 20 hectares of idyllic Mediterranean gardens. The Club Med Resort of Napitia has 582 rooms divided between the hotel and bungalows. The hotel consists of several buildings. All the rooms in the hotel have a balcony. The second section, called "8 Stecche", is where the bungalows are. Located in the heart of the resort, they consist of 2 floors with no elevator. *Note: This resort welcomes children from 2 years old, with childcare available for ages 2-17 years. 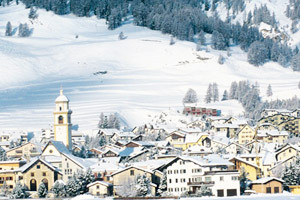 A charming chalet resort in the heart of the Italian Alps, on the second largest ski domain in Europe. In an exceptional location in Italy's Piedmont region, at an altitude of 5,250 feet, this Club Med Resort has charming chalet architecture. 20 clusters of chalets around the resort center give pride of place to premium family accommodation. *Note: This resort welcomes children of all ages, with childcare available for ages 4 months to 4 years. Club Med Saint-Moritz Roi Soleil - Ski Resort! *Note: This resort welcomes children from 4 years old, with childcare available for ages 4-17 years. Nestling at the foot of the snow-covered mountains, Saint-Moritz Roi Soleil stands at an altitude of 5,740 ft, near the lake that lies by the town. Resort of 311 rooms within a 6-floor hotel (with an elevator), in modern architectural style. In the heart of the Vaudoise Alps at 4,265 ft, this south-facing Swiss resort opens onto a magnificent panoramic horizon. The "Villars Palace" was built back in the 20s', it's restaurant hall and theatre are all classified as historical monuments. The hotel has a large variety of different style rooms, 215 in total located on the 7 floors of the hotel (with elevator). *Note: This resort welcomes children of all ages, with childcare available for ages 2-17 years. The resort does not allow cars. Parking lots are offered around the town. Club Med is located two minutes from the town center. Back in the 1930s, the little rack railway took wealthy winter sports enthusiasts to Wengen, and the resort has retained its elegant atmosphere, grand hotels and jingling sleighs ever since. Club Med built this resort in 1976, just outside the charming village, which lies in the heart of the largest massif in the Alps. The hotel has 207 rooms and consists of 2 interconnecting buildings. South of Izmir, on the Bodrum peninsula, a hill clad with Mediterranean pines shelters the bungalows of the Club Med Resort with their flower-filled patios, a stone's throw from the inlets and a finely crumbling sandy beach. 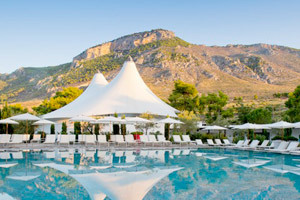 The Club Med Resort of Bodrum Palmiye has 256 rooms, all located in bungalows, situated on a rocky hill next to the sea. The bungalows are small two-story buildings with no lift, spread throughout the vegetation along narrow streets in bloom. *Note: This resort welcomes only guests aged 18 years onwards, and is not entirely accessible to people with reduced mobility. 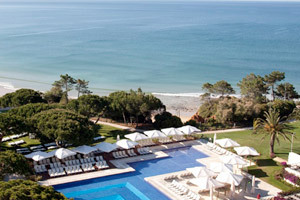 On the Mediterranean, near Antalya, the site for the Club Med Resort of Kemer was discovered in 1979. This adult-only resort offers homely comfort while outside, the untamed natural environment has not changed: a sheltered bay, inlets looking out over the turquoise sea and the flower-clad hills of the Taurus range. 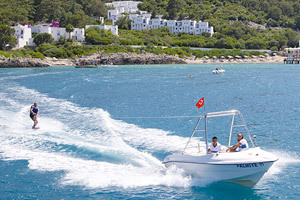 With long sunny days, Kemer is dedicated to watersports and fitness. This is a resort of 690 rooms, comprised of an area of bungalows (Villaggio) and an elegant hotel. 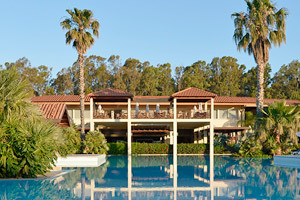 The hotel is opposite the sea, close to the Club Med spa and the main pool. It is a five floor hotel with an elevator. In Turkey, close to Antalya, Palmiye nestles around a vast beach between the wild peaks of the Taurus mountains and the warm, sparkling blue sea. Within this resort is an area of bungalows (Villaggio) and an elegant hotel. The 5-floor hotel has an elevator and is opposite the sea, close to the Club Med Spa by Carita and the main pool. *Note: This resort welcomes children as of age 2, with no supervision program. 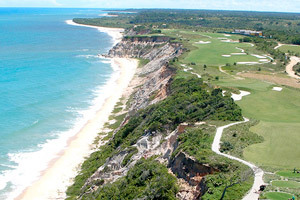 A Caribbean family paradise and majestic golf destination where leisure and luxury are beyond par. Escape the winter chill and flock south to the Club Med Punta Cana resort to enjoy dazzling turquoise waters, and the finest sandy white beaches in the world. Soak in the warm Caribbean sun at this 4-Trident resort with a 5-Trident Luxury Space that gives you access to exclusive private ocean front family suites. 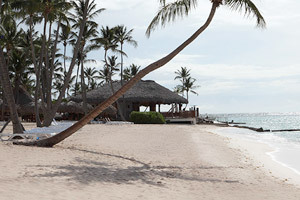 The Club Med Resort of Punta Cana has 553 rooms are divided in colorful bungalows with pastel hues. The bungalows, with 3 floors, are ideally designed for families, and are amidst the tropical gardens. Discover Tiara, the 5Ψ Luxury Space in the Punta Cana 4Ψ Resort. The 5Ψ Luxury Space is the perfect option for those in search of privacy and upscale, personalized services, without sacrificing the friendly Club Med spirit. Club Med and Cirque du Soleil have joined forces to dream up the ultimate circus-inspired playground. Adults and children alike are invited to live a one-of-a-kind immersive experience in Punta Cana, featuring unique activities inspired by the wondrous and unexpected world of Cirque du Soleil. From artistic to acrobatic activities, vacationers will have fun, learn new skills and achieve things they would never have expected. Club Med Creactive by Cirque du Soleil is included in every Club Med Punta Cana vacation package. A lush resort with a French flair on one of Guadeloupe's finest beaches. Located in the heart of the Caribbean, La Caravelle resort is an ideal setting for a winter retreat. Soak in the Caribbean sun on the golden beaches of Guadeloupe, experience island culture in the markets and shops of Point-A-Pitre, or treat yourself to the ultimate spa treatments at the resort’s wellness center. Located on Grande Terre, along one of the Caribbean's most beautiful golden sandy beaches, the resort includes several buildings. "Les Saintes", set of one-level bungalows, in a more isolated location, close to the specialty restaurant and the beach. "Marie Galante", a two-story building, with no elevator and "Basse Terre" and "Grande Terre" buildings. 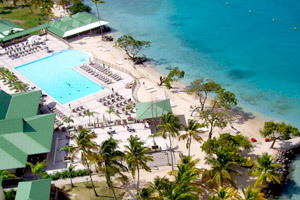 In "Basse Terre" rooms are on five floors with an elevator. The 4th and 5th floors have an ocean view. The first two floors offer a lush tropical garden view. In "Grande Terre" rooms are on two floors, with a garden or ocean view (no elevator or balcony). *Note: This Resort welcomes children of all ages, without a supervision program. A Creole spirit and sublime coastline in the divers' paradise of Baie du Marin. Escape the cold weather and fly down to Club Med's all-inclusive Buccaneer's Creek resort. Enjoy a taste of paradise while you relax on the beaches of Martinique in the French West Indies. Whether you're looking to go scuba diving, enjoy a pampered spa treatment, or enjoy the tranquil tropical gardens, Buccaneer's Creek is the perfect warm winter getaway. Resort of 289 rooms all located in bungalows from one to three floors (with no elevator) spread between a tropical garden by the sea, along a magnificent coconut grove and a large white sandy beach. 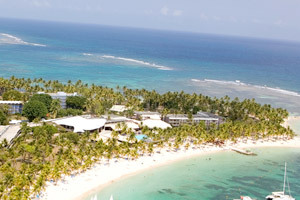 Very close to the village of St Anne, the resort has the most beautiful beach of the island. *Note: This resort welcomes children of all ages (up to 17) with supervision. Located North of the Yucatan Peninsula in Mexico, on the Caribbean Sea, this beautiful family resort is ideal for vacations with kids and teens. Discover the Mayan cultural sites and enjoy a relaxing beach vacations. The Petit Club Med provides enriching activities and adventures for kids ages 2-3. Ocean front family accommodations sit just at the shore of pristine white-sand beaches, providing privacy and comfort with personal terraces and separate rooms for children. There are 376 rooms, divided among typical colorful bungalows in a Mexican hacienda style. Nestling between a lagoon and the Caribbean Sea and built on a private peninsula, the resort spreads out in an semi circle shape between the warm blue-green waters of the Caribbean Sea and a lagoon. A 'world's best' family resort capturing the sun-drenched beauty, warmth and splendor of Mexico. Seeking a respite from winter's icy temperatures? Discover the wonders of Mexico during your stay at the Ixtapa Pacific resort. Nestled between the Sierra Madre Mountains and the shores of the Pacific Ocean, this tropical getaway is located only 161 miles north of the bustle of Acapulco. The 298 enlarged rooms, including 15 family suites, offer many comfort options to suit a diversity of needs. All are equipped with flat screen TVs, Internet access and high quality amenities. The beautiful bathrooms evoke the 1940s. All spaces, whether private or shared, create convivial yet tranquil atmospheres to relax body and mind. A premium sports resort, haven for active families and home to the Club Med Academies. Located right on the St. Lucie River, this beautiful resort is an ideal all-inclusive vacation for active families that want to engage in sports and fitness programs offered at the exclusive Club Med Academies. 337 rooms, divided between seven 3-story buildings (with elevators) located on the banks of the St. Lucie river in the heart of Florida. *Note: This resort welcomes children of all ages, with childcare available for ages 4-17 years. On this island, an hour's boat ride from Salvador de Bahia, your days will be action-packed. Amid tropical greenery, home to iguanas and brightly colored birds, a Resort that combines African exoticism with South American exuberance. Nestled in the shade of a magnificent coconut grove, the 334 bungalows are located along a river which runs through the resort. The bungalows are in Brazilian architectural style which integrates seamlessly into the Samba atmosphere. 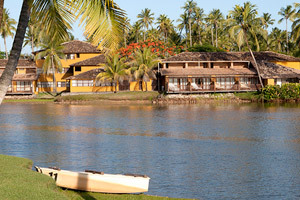 A spectacular resort by a tropical rain forest in Brazil's second largest nature reserve. Exotic surroundings are enjoyed by resort, which has colonial-style bungalows. The 320 rooms are divided into several Solares (group of buildings) in a splendid neo-colonial architecture. Discovered by a Portuguese sailor in 1500, Trancoso has lost nothing of its authenticity. Far from the most frequented tourist destinations, with its thatched bungalows, the Resort is a haven of tranquility perched atop superb cliffs. 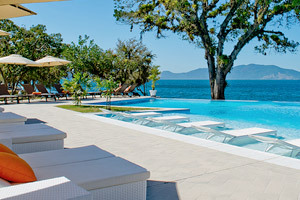 Perched on cliffs overlooking the sea, this sumptuous resort offers a new vision of Brazil, one of extreme refinement. Around you, a tropical green paradise stretches to infinity. At your feet lies a vast beach; a resort of 250 rooms all located in bungalows. The bungalows are 8 small 2-story buildings divided into two quarters within a nature reserve. They are small brightly colored buildings with thatched roofing that blend well with the local beauty and ambiance. The bungalows in the central quarter are the Ondas and Conchas, the garden bungalows are the Areias, Estrelas, Golfinhos, Cabalos and Peixes. Note: Content shown in videos is subject to change as time passes from when the videos were filmed. Videos were not produced by our company, and we hold no liability if any information shown is inaccurate.